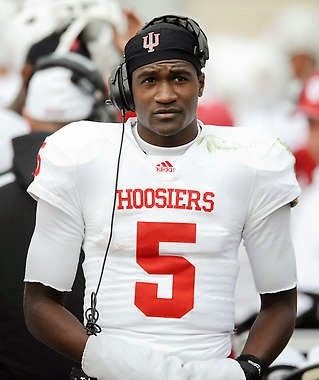 Shirts With Random Triangles: Former Indiana QB Tre Roberson is transferring to Illinois State. Roberson, who had fallen down the Hoosier depth chart following becoming the first true freshman in team history to start a game, Tweeted out his decision to transfer to FCS division Illinois State. Transferring to an FCS school will allow Roberson to play immediately in the forthcoming 2014 season.